Come and join a creative, fun, friendly group of woman who love textiles. The emphasis is on experimenting, recycling, sharing ideas, learning new techniques and finishing off projects. Each month a different idea is explored, we have done Boro stitching, using wash away fabrics, felting, and fabric bead making. We are going to be doing printing, eco dyeing, up cycling, free embroidery and many more. This month it will be up cycling, so bring in items of clothing that are still in good condition but in need of a spruce up. 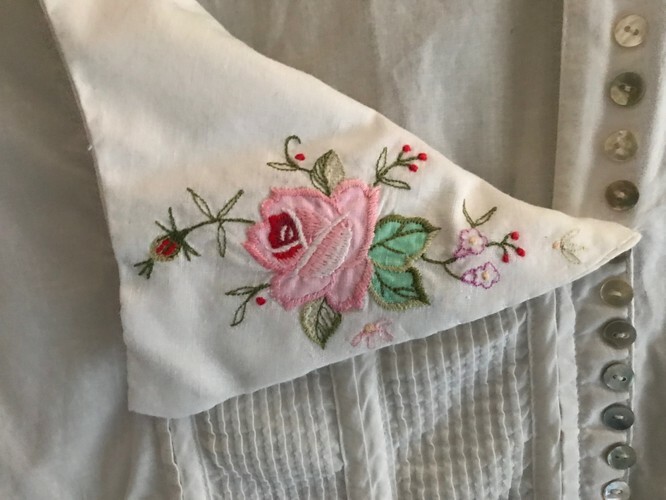 We will look at different ideas that could be used, such as appliqué, embroidery or maybe just looking at changing it in some way such as the hemline. Bring in basics such as scissors and threads. Tea, coffee and biscuits are supplied. There is a kitchen so food can be warmed up if you would like to bring in lunch. Call Kim on 021 513093 for more information. You don't have to register, just pop in at anytime. All welcome, all abilities.